This page will walk through Spring Boot Tomcat JDBC connection pool example. Tomcat connection pool supports for highly concurrent environments with high performance. Tomcat connection pool is extremely simple because of its very simplified implementation. Tomcat connection pool has ability to configure custom interceptors, better idle connection handling and performs asynchronous connection retrieval. In Spring Boot 1.x, Tomcat connection pool was the default connection pool but in Spring Boot 2.x HikariCP is the default connection pool. Here on this page we will provide complete example of Tomcat JDBC connection pool with Spring Boot Data and MySQL. We will create a demo application in which we will perform create and read operation in database. We will configure Tomcat connection pool properties for example initialSize, maxWait, maxActive, maxIdle, minIdle, defaultAutoCommit and testOnBorrow in application.properties file. Before using Tomcat connection pool, we need to make sure that we have resolved the Tomcat JDBC dependency. If we are using Maven we can use following dependency. tomcat-jdbc is used with either spring-boot-starter-data-jpa or spring-boot-starter-jdbc. 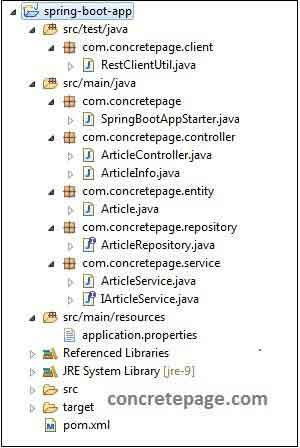 To resolve spring-boot-starter-data-jpa we can use Maven dependency as given below. To resolve spring-boot-starter-jdbc, use Maven dependency as given below. In the older version of Spring Boot 1.x before Spring Boot 2.0 release, we need not to include tomcat-jdbc in pom.xml or build.gradle ourselves because spring-boot-starter-jdbc and spring-boot-starter-data-jpa resolve it by default. For the Tomcat connection pool configuration, we enable it by using spring.datasource.type and assigning it fully qualified name of the Tomcat connection pool implementation in application.properties file as following. If we are using Spring Boot 1.x versions, Spring Boot selects Tomcat datasource by default and we need not to configure above line. Now to configure Tomcat specific connection pool settings, Spring Boot provides spring.datasource.tomcat. * prefix to be used in application.properties file. We will discuss here some frequently used configurations. initialSize is the initial number of connections that are created when the pool is started. It is configured as following. maxWait is the maximum number of milliseconds that a pool will wait to return a connection before throwing an exception. It is configured as following. maxActive is the maximum number of active connections that the pool can allocate at the same time. It is configured as following. maxIdle is the maximum number of connections that should be kept in the pool at all times. It is configured as following. minIdle is the minimum number of connections that should be kept in the pool at all times. It is configured as following. defaultAutoCommit property configures the default auto-commit state of connections created by this pool. It is boolean and default value is true. testOnBorrow is the boolean value that indicates whether objects will be validated before being borrowed from the pool. Default is false. We will create a Spring Boot REST web service with Spring Boot Data, Tomcat JDBC Connection Pool and MySQL. We will use CrudRepository to query database. We will also create a REST client using RestTemplate to test our application. First find the project structure of the demo application. Find the MySQL table structure used in our example. Find the Maven file to resolve dependencies. Now find the Main Java class to run the application. To ensure that we are using Tomcat JDBC connection pool, we are printing datasource name. When we start our application, we can see following message in console at the end of server log. Now find the REST client to test the application. When we run the client we will get following output. To test the application, first create table in MySQL as given in the article and configure your database credentials in application.properties file. Then we can run REST web service in following ways. Now we are ready to test the application. To run web service client, go to the RestClientUtil class in eclipse and click on Run as -> Java Application.